Since the last time I posted, many of the models have been suppressing the storm to the south. While we are still looking at a significant snowstorm that will bring plowable snows to the region, totals will be less than I originally predicted. 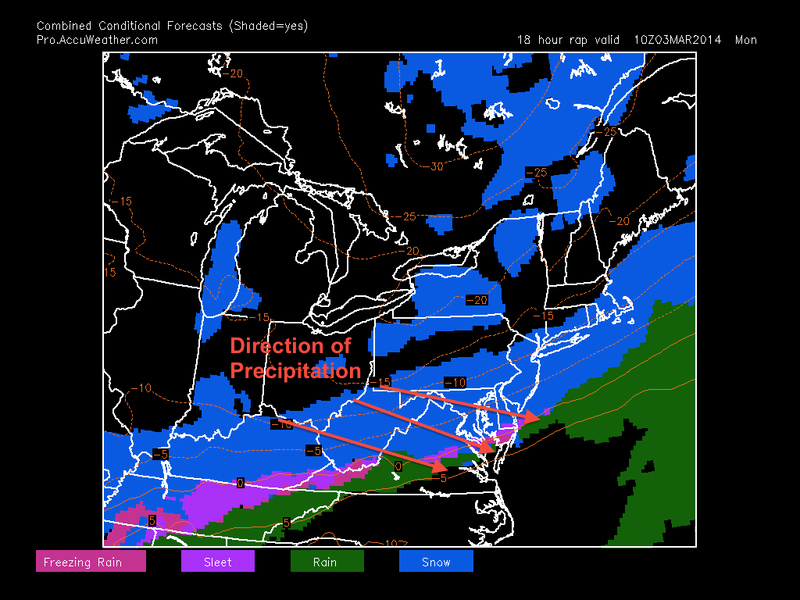 The map below shows the RAP model projecting snow falling at 5 AM tomorrow. The precipitation field will be moving in a southeast direction with this storm. Because the storm will be suppressed to the south, this means that the length of the storm will be greatly reduced. Snow will start late tonight and likely end by early afternoon tomorrow. Instead of a 36 hour storm we were looking at a day or two ago, we are looking at more of a 12-18 hour one. 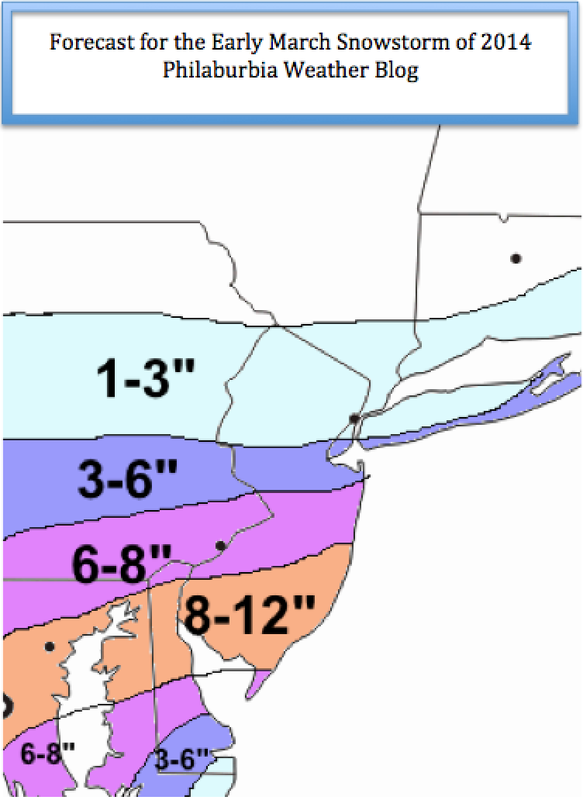 Totals will still be substantial in the southern and eastern parts of the region with south Jersey and Delaware possible receiving a foot of snow. Northern suburbs will receive around 3-6 inches and Philadelphia will likely have 6-8 inches of snow on the ground by tomorrow afternoon. Confidence is high on these storm totals and storm path, as much of the upper air factors are already in place and will not likely change. The effects of this storm on morning rush will be significant, as heavy snow will be falling through 10 or 11 AM. My guess is that many schools will have delays or close tomorrow as the bulk of the snow will fall in the morning. I will continue to monitor the progress of this storm during the day today and will provide any updates if there are changes in track or timing.